What is the of ? When working with basic trigonometric identities, it's easiest to remember the mnemonic: . 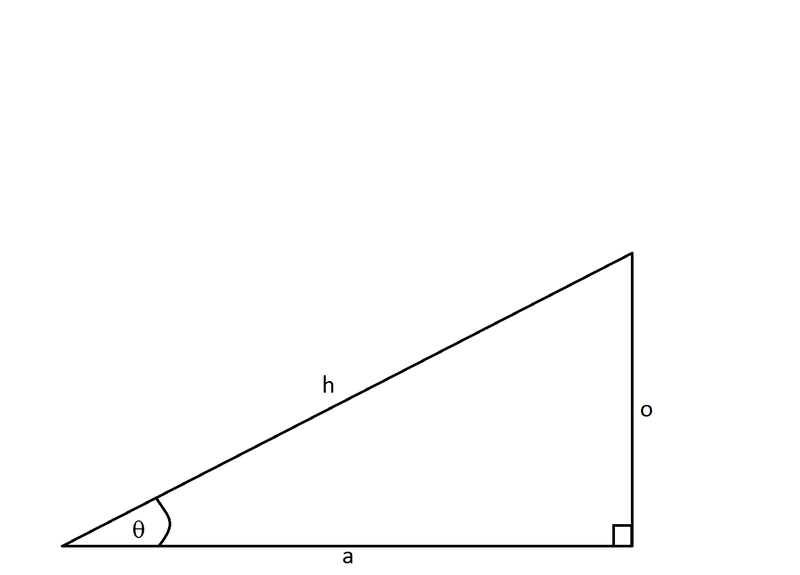 When one names the right triangle, the opposite side is opposite to the angle, the adjacent side is next to the angle, and the hypotenuse spans the two legs of the right angle. Simplifying trionometric expressions or identities often involves a little trial and error, so it's hard to come up with a strategy that works every time. A lot of times you have to try multiple strategies and see which one helps. Often, if you have any form of or in an expression, it helps to rewrite it in terms of sine and cosine. In this problem, we can use the identities and . This doesn't seem to help a whole lot. However, we should recognize that because of the Pythagorean identity . We can cancel the terms in the numerator and denominator. This is the most simplified version. Whenever you see a trigonometric function squared, start looking for a Pythagorean identity. The two identities used in this problem are and . This is already it's most reduced form. Notice that we can cancel out a . Notice that the opposite's cancel out, leaving . University of South Carolina-Columbia, Bachelor of Science, Exercise Science.